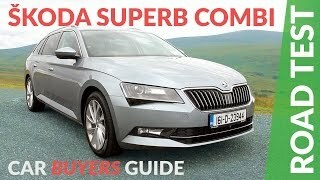 Skoda has brought par to par models in the recent years, and now it’s the time for Skoda superb Combi 2016 to fascinate the market. The design of the model demonstrates the brand’s emotional strength. Superb Combi offers top level of comfort, a timeless elegant design, optimum functionality, and the tried-and-tested technology. It’s one the dynamic version in Skoda’s lineup. 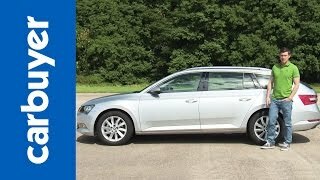 Let us have a close look at the reviews of the core of excellence “Skoda superb Combi 2016” and get to know more about it. The interior of Skoda superb Combi 2016 has a generous amount of space. The space in the rear is most ‘princely’, offering legroom of 157mm. There is an optional electric panoramic glass roof for more comfort and a feel-good factor in the interior. In addition there’s a wireless heated windscreen, heated washer jets, the rain/light sensor which automatically switches the windscreen wipers on and off. Other superior features include electric tailgate, umbrella comfort feature in each of the two front doors, the new top-version three-zone air conditioning, ensures an optimal temperature and the best air quality on board. In all Superb Combi is a complete package of luxury. 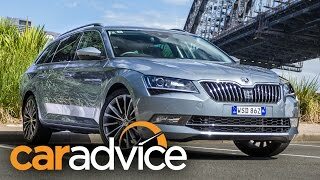 Exterior of Skoda superb Combi 2016 is almost superb as the name of the model. The front conveys strength and self-assurance at first glance. There is a stunning front mask with radiator grille and brand logo centrally positioned on the bonnet's nose drawing attention on the centre of the vehicle’s front. In addition, the vehicle appears longer because of the razor-sharp, with high tornado line which achieves an effective contrast between light and shade. It is also aided with the two- broad and identifying taillights, component beam as standard with LED technology and dramatically intensified C-shaped lights that Skoda is famous for. So Skoda superb Combi 2016 is distinctly featured. 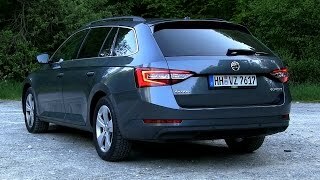 The engine of the Skoda superb Combi 2016 offers a maximum of up to 30 percent lower consumption values and emissions. It consumes just 3.7 l/100 km and emits 96 CO2 per km. The direct-injection turbo engines based on MQB technology (five TSI petrol, three TDI common-rail diesel engines). There is a modern dual clutch transmission.